As residents of Ottawa ourselves we pride ourselves on the quality and sustainability of the roads that we maintain. To get around safely, you need to feel comfortable walking, cycling and driving on the roads of the city. 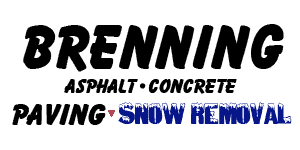 To that end, Brenning Paving and Construction provides a credible and easy to work with road construction and paving service that works hard to exceed customer expectations in all aspects of each project. With over four decades of experience in the industry, we are dedicated to keeping the roads of this city safe and presentable. We are fortunate to have the opportunity to reflect our admiration of our community through the work that we do as we have worked tirelessly to help create, manage, restore and maintain roads all across this wonderful city. For reliable road construction in Ottawa, our team has the passion and the competence to provide a high-quality end result time and time again. Our team can be trusted to deliver on a service that is tailored to your needs. We don’t cut corners and never rush jobs – our commitment to the Ottawa roads is unmatchable. We use them every day, and so do you – so we work to help make sure that they can be free of damage and decay to keep your transit from A to B safe and smooth. New road installations. When transit is needed in a new area of town, we are eager to come in, size-up and then deliver the highest quality roadway possible. We work with our team of hand-picked specialists who can help us turn the vision into an impressive finished product. Road repairs. Road repairs are vital, as over time the continuous use of the roads – not to mention the rough weather Ottawa endures – means that they can begin to crack and damage. We offer easy and comprehensive solutions to remedy any faults or imperfections. Road expansions. When a road has to be widened, we’ll be there to piece it together. Brenning Paving and Construction will make sure that the project exceeds the expected level of quality, respects nature and the community alike, and improves the flow of traffic. Should you require any type of paving work, consider Brenning Paving and Construction for a high-quality job at a price you can appreciate. Get in touch through our online contact form or over the phone at (613) 822-1316!